Another closed church to report, this one is for sale and scheduled for demolition. 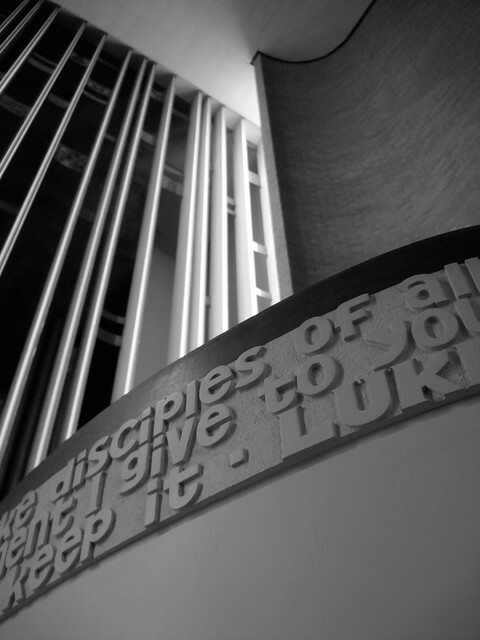 With so many sub-par modern churches, it is a shame to lose one this good. 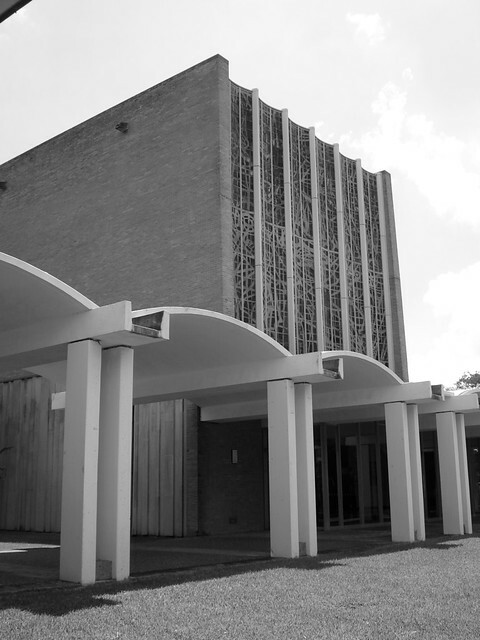 Central Presbyterian Church in Houston combines many of the motifs of modern churches--full wall dalle de verre, glazed reveals between ceiling and walls, the jewel-box sanctuary--with sensitive localized features. 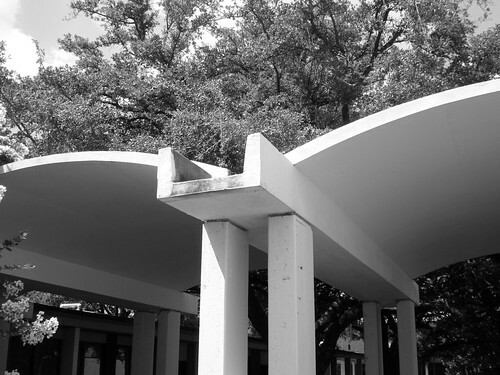 The cloister in front of the church (which is away from the main street of Richmond Avenue) and the treatment of the arcade strike me as particularly representative of modern Texas architecture. I'm not sure that I would call it a masterpiece, but it is a fine building that is certainly a loss. Special thanks to narrowlarry for sharing an excellent set of photos in the church's last days. A few of his photos are included below.